As you can probably hear in this video I am slightly nasally and congested, and I thought this would be the perfect time, since I am experiencing them, to talk about symptoms, what they really mean and how they can really improve our health and wellbeing. As ever, if you have questions or comments please do get in touch with us. I’ll do my best to get back in touch with you. I hope you have enjoyed this video, share it if you find it useful. I look forward to talking with you again soon. Should I have a food allergy test? This video will be answering a question from one of our practise members which is about food allergies, food intolerances, the genetic testing or other kind of testing that is possible for us. So the first thing is, unequivocally, there is some solid scientific research that shows that not all foods are appropriate for all of us to eat. It’s a really good idea to find out what works for us and what doesn’t work for us. The caveat here is that obviously if you’re under the care of your GP, and your health is really suffering, then the tests might be much, much, much more important and at times they might be part of what saves your life because we need to be sure we are able to absorb and put together, assimilate, all the food we take in. So that’s the first thing. There is defiantly some sound research testing can be really, really useful. So I like to make this much, much, much more simple because the whole topic of food can get really, really complicated. So, if we look at three different groups of people – the Inuits, the Masai warriors and the Native American population- the Inuits live largely on fats like seal and whale blubber, that kind of thing; the Masai is meat, milk and blood, that sounds really key but that’s what they can have; and the Native Americans can have a largely carbohydrate rich diet. Now the main thing of interest to me is that if you look at those groups when they are living in their environment eating that way, none of them have the main chronic waste and health conditions that are very common for us such as stroke, heart attack, diabetes, cancer. The rates are significantly less than they are here. Now, what’s interesting is research has shown that if you take any of those groups and you add sugar and flour into their lifestyle; and we notice this because sometimes the groups move to Western places and start eating more fast food etcetera; all of a sudden rates of stroke, heart attack, diabetes, cancer, the main western lifestyle diseases, they start to rise. So they start to become more like the norms that we see over here. So the first obvious thing, is that sugar and flour are not designed to in our diet to the level that they are, so that’s one thing. My approach, the approach we take here at Thrive, is how do we connect with our body and listen to what our body is trying to tell us? I’ve asked thousands of people, this kind of question face to face, and the question is this- “are there things that you are doing that you know you shouldn’t be doing and are there things you are avoiding or know you’re not doing that you know you should be doing?”. Almost unanimously people answer ‘yes’ to that question. So my advice is, begin there. Begin with what you know you should be doing and you know you should be avoiding. I’ve asked over a thousand people this question face to face and when people say things like ‘I don’t know’ or ‘I’m not sure’, my response is ‘if you did know or were sure what would you do?’. I’ve never had any human being that I’ve been with face to face not be able to answer that question and come up with something they can start with. So my advice is, begin there, connect with your body, listen to your body, let the 14 billion years of evolution floating around inside your cells, your inmate intelligence or your intuition or whatever you call that factor, let that influence you. It is trying to show you, trying to get you to go on a path that’s going to work for you. Be open to it changing throughout the year. So right now we are moving into autumn as I’m shooting this video, so how we eat, how we sleep and our lifestyle factors need to change a little bit because we have less sunlight, we have less warmth outside, our body is doing a different job. Cutting right down to it, yes the food allergy testing, the genetic testing that really has a place that can be very important. My personal advise is that where the majority of us should begin is- ‘what’s my body trying to tell me?’, ‘what is it that I know I need to be doing?’, ‘what is it that I know I need to be avoiding?’. Begin there, make it easy to win and build momentum. Then after time it’s easier, and easier, and easier, and easier to get listening to yourself habitulalised. Before you know it, or at least in my experience personally and clinically, people’s health and wellbeing can really improve. As ever I hope you found this useful, and I welcome comments. Please get in touch with me when you see me. I hope it adds lots of value. Enjoy. So we’re now into week 2 of our 5th birthday celebrations! The truffles are going down fast, the competition entries are piling in and the workshops are going amazingly well. How do we create emotional freedom? What are emotions really for anyway? And how do we harness this force to create more happiness in our life and that of those we love? Too many of us are plagued with emotional weight. We feel and think about today things that happened to us in the past and that has a huge impact on who we are and what we feel we are capable of. It’s almost like we never got over the argument, hurt, loss, divorce, stress at school etc etc etc. Put another way, life has moved on but we have not. Our brain and nervous system is still telling us, on some level, to be vigilant about the impending stress…or the stress that just happened. That is a massive energetic tax. In my humble opinion and clinical experience I notice that people who are ‘bound up’ emotionally, experience much lower levels of energy than their potential. Interesting studies on men with low back pain show a high correlation of ‘emotional stresses such as not feeling enough or being worried about money. So what do we do about this and how do we experience our full emotional potential? We have also all heard people say that it took me “10 years to make that decision, I wish I did it sooner”…or some such. The truth is that it took that individual 10 years to build up enough emotion to make the new behaviour a must… and we can all make this happen much, much, much quicker. If, like me, you want more courage and passion, breathe, move your body and feel energy the way a courageous and passionate person would. Life’s challenges cause us to need to express a new range of emotion … and a new range of emotion is linked to an increased range of motion of the spine. This is incredibly important. If you think of everytime in your life that you’ve made a change or decided to go for a new job or a new relationship, you will have had a certain degree of emotional leverage. Emotion is the fuel of life that makes us strive and go for the things we really deserve. 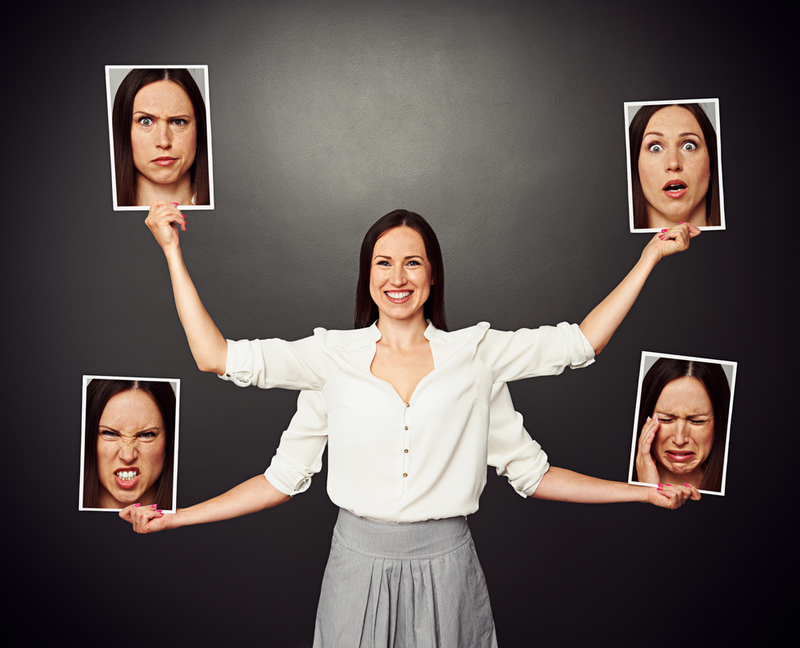 So how different would your life be if you experienced different emotions? Which ones are you going to harvest next? To you harvesting the gifts in your spine! It does not matter who you are, where you’re from or what you do…. It is fairly safe to assume that you will experience pain at some point in your life. Your relationship to pain however can massively shift the quality and direction of your life. Let’s be clear, pain is and can be horrible – having had 2 disc herniation, 10 fractured bones and a growth in my neck, I’m no stranger to pain! Our culture at large assumes that pain is a problem to be stopped, fixed or gotten rid of. It is an unwanted disruption to our life. For clarity I see pain as a sensation, circumstance or situation to which we associate discomfort. At Thrive and other centres around the world, we take a revolutionary view of pain. We see pain as feedback, a wake up call meaning: STOP, PAY ATTENTION and make a CHANGE. Simply put we do not separate the life someone is living from the pain they are experiencing. In other words pain comes along as a necessary and helpful interruption to our life. It tells us “hey don’t keep doing what you’re doing, it’s not working”. Too often, however, the people around us and even people we consult try to help us by getting rid of the pain before we have gained any wisdom from the experience. Pain is just telling us that we have kept things the same for far too long or that we are undergoing change at a rate that we can not handle. In either case we do not have enough energy to either make change or to handle the changes that are happening. The irony, simplicity and beauty is that our nervous system binds the energy we need for change within and around the pain. Using NSA and SRI we want to help the individual go towards the painful sensation, situation or circumstance to extract both the energy and wisdom from it. If all we do is try to get rid of the pain then we are literally pulling out the rug from underneath us. In my experience the pain tends to come back and we don’t make progress. So the next time you’re in pain with a sensation in your body, a situation or circumstance in your life, recognise that it is trying to get your attention. See that it’s job is to interrupt your life as usual so that you pay attention and make changes. And then when you make those changes you get to enjoy a newly organised and greater quality of life. A huge thank you to Brian, a Thriver who asked me to look into this – and lots of you who over the years who have talked to me about sleep. This is going to be a quick yet potent summary of the sleep research that is currently out there AND having tested it myself, I can personally say that it has helped me. There are 3 main factors with sleep: 1. Our body temperature 2. Light exposure 3. How ready we are for sleep vs how stimulated we are. Think about how you might put a child to sleep…. When it approaches bed time do we ask them to play and or do things softly and quietly. We may read a story. We have a warm bath… towel dry… brush teeth…go into a darkened room…tuck them up and get comfy and unless there is some other unforeseen stressor, hey presto sleep happens. It needs to be similar for adults, meaning: we need a sleep routine and a shutdown, turn off time (SRI is great for this!). An amount of time before we intend to sleep where we allow ourselves to slow down and wind down. We need to sleep in a dark and cool room. 150 years ago we had daylight and at night times fire light (which is very mellow). Then shortly after that we had the electric lightbulb…and our DNA did not have a chance to adapt to this now constant source of light. Then 50 or so years ago we got televisions and a chance to have rapidly changing light available night or day. Then in the last 10 years we’ve had mobile smart phones with Las Vegas style neon blue light in our faces day and night. The reason this is harmful and why light affects our sleep is because our skin has ‘light receptors’ – essentially our skin can see in the dark… and light tells us that it’s time to be awake. Interestingly, insomniacs have a higher core body temperature, research tells us. Ideally our rooms should be between 18-21 degrees and it’s best not to be dressed like an Artic explorer! Light loose clothing is best – think cool, but not cold. Sleep is essential, it is not a luxury. 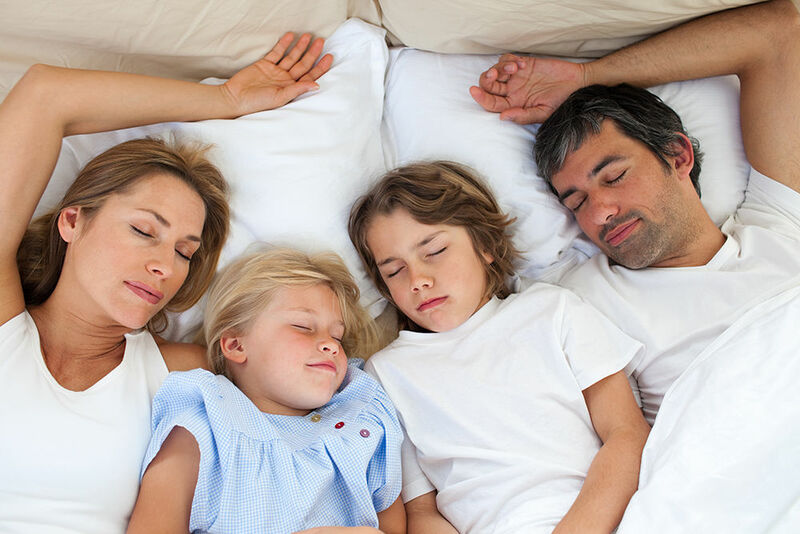 98% of our DNA is linked to the circadian rhythm of waking in the day and sleeping at night. That’s huge. Scientists suggest that less sleep is correlated with negative thinking and that negative thinking is related to depression. So it’s really important that we all get a handle on this area of our life. Some great news is that napping works really well. As little as 6 mins can give us a recharge. Ideally nap for 6-20 minutes or 90 minutes. This way we get a full REM cycle and avoid the sleep lag feeling. I can personally say that this information, again thanks to Brian, has improved the quality of sleep for me and my family. I believe that it is so important for us to notice how well we feel, how productive we are and how we act when we’ve slept well compared to when we have not. Moreover, we can go further and find strong reasons for us to get up early rather than stay up late… and really then commit to and enjoy living a life towards the life we really want. I don’t believe that we were born just for ourselves. I believe that we were born to find, and celebrate and share our unique talents and gifts with the world. I believe that when we are at our best we are focussing on harnessing ourselves to contribute to something beyond ourselves. Research shows that the more insular our focus, thinking and actions – the more self-obsessed we become, the less well we are – the more depressed and anxious etc. We observe that at Thrive through people’s posture – which is, in one way, how the external world meets our internal world. When we don’t have enough energy, or feel like we don’t have enough energy, we collapse – either bending forwards or sideways. When we have enough energy we are like oak trees in a storm – standing strong and upright. When we have MORE than enough energy we are upright and heart-lifted; open regardless of the environment. The more collapsed our posture, the more we tend to focus on us. The more that our exercise, food, meditation, yoga etc. becomes about keeping us well, or helping us get through our day. Please hear me clearly, this is an important part of healthcare. However, if our focus and behaviour does not develop past this point, or stays here for too long, I am suggesting it is problematic. The more upright our posture the more we tend to focus on how the ‘me’ standing here can impact the world around me – my family, my career and my hobbies. When we have enough energy and strategies in our spine and nervous system, the heart-lifted posture becomes available. This is when we exercise etc. so that we are ready to serve the world – people we do and do not know – to the best of our ability. Our focus is now on WE rather than just ME. It is my humble opinion that we all strive to have access to this embodied heart posture so that we can become the best FOR the world and not just the best IN the world. When we do this I believe that we show up in a way that positively affects the people we interact with and even the people we don’t – literally emanating and therefore magnifying a different quality of life all together. An easy way to start this is to ask: How can I give my gifts? What is it that only I can do? What is life asking of me? I look forward to witnessing your answers lived. Is it really 'silly' to feel like this? Our culture has an interesting approach when we feel upset, weak or like we’re suffering. As far as I can tell, suffering seems to be a part of the universal spectrum of experiences available to us. In short, at some point, we all feel it to some degree. I’ve noticed that when we take on more, step up and go for it more in some area of our life that we can experience more suffering. AND I think that this is why many of us live within our comfort zone and or play smaller than we know we can. I love fairy tales, parables and myths because to me they speak of the ‘hero’s journey’ that all human beings can experience. The ability to live our lives, go for something we want and boldly face the challenges along the way. Some of my favourites are Beauty and the Beast and David and Goliath. Think about it. Do you believe that Belle was not scared to dance with a monster with big fangs? I think she was very afraid and did it anyway because she knew what his real character was. Likewise, I think that David was afraid of Goliath and faced him anyway and in so doing became an example of courage for us all. My point is that if we deny our suffering and think it’s weak to feel weak, then we simultaneously deny our opportunity for authentic courage. The willingness to do something or face something even though we feel less than – because we know that there is something inside of us that will emerge and be victorious. (note, and this is a longer point, I don’t agree with the ‘just deal with it’ attitude as it can lack humanity and an ability to be with ourselves and others. In my opinion it seems disassociated). The distinguished professor of Psychology Mihaly Csikszentmihalyi says this, which I LOVE: “We all know individuals who can transform hopeless situations into challenges to be overcome, just through the force of their personalities. This ability to persevere despite obstacles and setbacks is the quality people most admire in others, and justly so; it is probably the most important trait not only for succeeding in life, but for enjoying it as well”. Notice how it does not talk about people feeling silly because they are upset or weak… its talk of people able to transform these situations, and transformation does not happen when we ignore, deny or berate ourselves. I wish for you all the self-compassion to allow yourselves to discover what is really going on so that you may experience a force of transformation emerging from inside you that will astound you. And I hope to have the privilege to be there to witness that moment for many of you. What I have to say may shock you or surprise others. We need stress. It is ESSENTIAL. Stress makes us follow through, meet deadlines and get things done that we would otherwise avoid. Physical stress done the right way, means our body will build up stronger afterwards. Emotional / Mental stress can help us develop emotional-fitness and the ability to be with, handle and focus our emotions throughout our lives. Short term stress can literally help bring out the best in ourselves. However, too much stress can be really bad. Or adding stress to a person and their nervous system when they are already tense can be harmful. So I believe our goal, on our path to health, wellbeing and fulfilment, must include dealing with accumulated stress AND building in strategies to take on more. I think and I see lots of people who are struggling to deal with stress well and in extreme cases may take some form of medication to help them deal with it. Whilst the medications may really help in the short term, many have known harmful side-effects which I’m sure we all want to avoid. I get regular NSA care to both help me deal with accumulated stress and turn that into fuel to push me forward. We all admire people who can overcome obstacles, stress and impossible seeming situations and turn them into victories. Some psychologists describe this as the most desired and admired human attribute. To develop it we must allow ourselves to dream and to stretch into boldness. We must reach deep into the pit of ourselves and go beyond the voices of doubt and fear and find that childlike wondrous desire to be more. Out of that place comes the internal fire to go and live life on our terms both for ourselves and for those we care about. Add enough energy and commitment and you have the surest path to far more than you can dream of. Recently I had a strange experience. Out of literally nowhere I felt anxious. It was as if a switch had been flipped and anxiety had been turned on. This for me is very unusual. Knowing what I know, I decided to ‘go towards’ this feeling – to let myself feel it rather than do something that made me feel better e.g. eating sweets, drinking coffee or watching something entertaining. (welcome to my old hit list :o) ). 2. See where in my body the epicentre of the sensation was. What really amazed me about this experience is that firstly I calmed down – A LOT. I literally went from feeling shaky, tingling hands and that horrible feeling in the pit of your stomach to feeling calm and ok with myself. Now I like to keep a track of my heart rate - I wear a heart rate monitor all the time…yes I am a bit geeky like that. What surprised me was that several days later when I was looking at my heart rate stats for the week, I could see that having felt anxious AND acknowledged it, my heart rate dropped. I literally had less background stress. More interesting is that in a day or two before I even noticed I had this feeling, my average heart rate was unusually high. I felt ‘fine’, even though I was more stressed. Then when I let myself feel and acknowledge what I now think to be the background anxiety, I calmed down. When I connected with myself, I really was able feel what ‘fine’ feels like. Its my continual personal and clinical experience that our inner and outer fears only have power of us when they are ‘in the dark’. The moment we shine the light of awareness on these things, their power over us diminishes, we get more energy and take our power back.